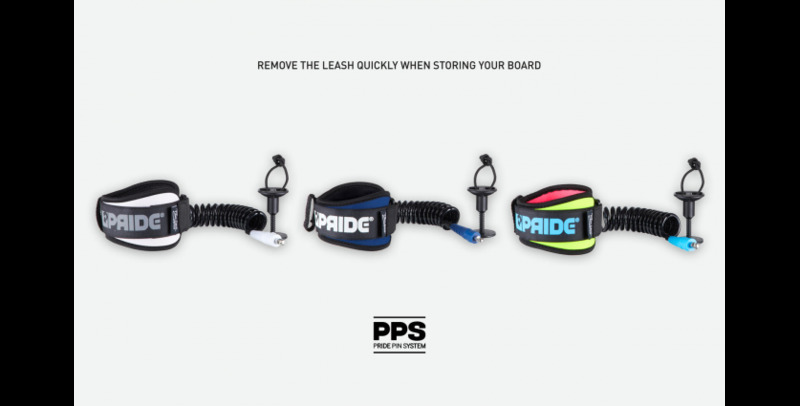 Home > Blog>Latest news>PRIDE PIN SYSTEM Technology - Now available, learn more. Removing your leash from your board has always been a tough one. But yet it’s mandatory if you don’t want to damage your board, while traveling or simply in your car’s boot. Some will untie the knot, others will unplug the board, in order to avoid fighting a little string with their teeth and fingers. The PRIDE LAB team decided to find a solution, with two main goals in mind: maintaining the strength & comfort of our already renowned accessories’ range while providing bodyboarders with a new technology making their life easier on a daily basis. A pin system has been developed on the connector which link the swivel to the urethane. A piece of steel enters the swivel’s hole, ensuring the ultimate resistance of our system. By removing the pin, the swivel is uncoupled from the connector which will remain attached to the plug. You’ll be able to remove your leash in a matter of seconds. This technology has been tested and approved by the Pride Team. Our PRIDE PIN SYSTEM won’t fail you, no matter if you’re used to paddle out in the big stuff. 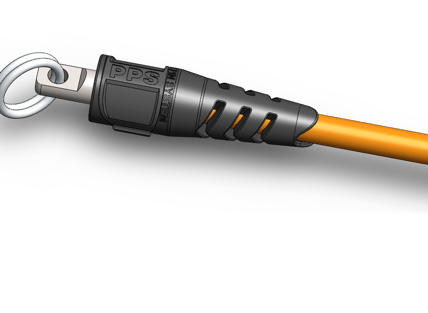 The new connector allow to install or remove the leash easily. The two parts of the connector (pin and connector) slot together to form a compact block. The Pin is made of two materials: a rubber part and a metal part which ensures the strength of the system. Bodyboard Center set to become the best online bodyboard store.